Really sorry but this group is no longer running due to the lack of a suitable venue but Graham the facilitator is still available 07775742999. When we are ill the natural response is to withdraw and isolate ourselves. Psychiatrists and researchers now consider this to be a very helpful adaptation that can help slow down the spread of disease etc. However this urge to withdraw in relation to depression is not helpful at all, in that for an extremely social animal such as us human beings by isolating ourselves we actually create the very conditions that contributed to it in the first place. Therefore having the opportunity to meet and connect with others who you will be surprised to find also feel the same and think the same thoughts and consequently understand is a great way to counteract this very unhealthy trend. Interestingly I have been reassured, even by those who have only attended one or two meetings of the value of the group. Association does seem to help. 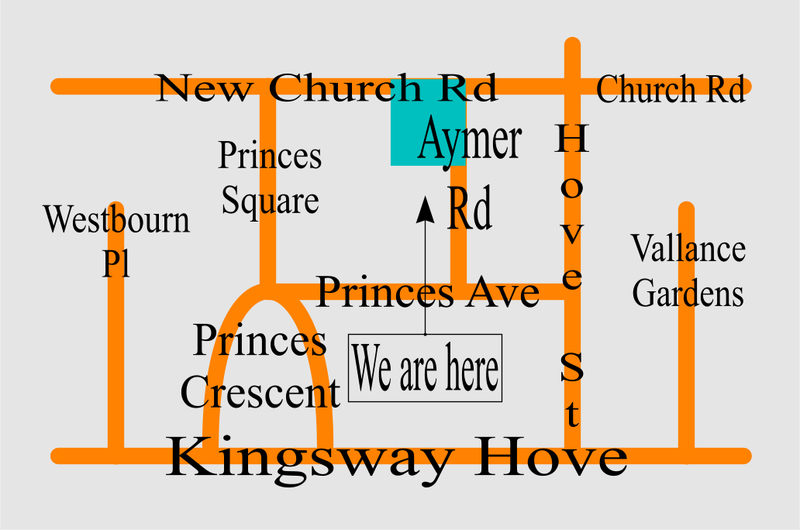 The meetings run every week on a Wednesday evening from 7.30 to about 9.30 (you can leave whenever you wish) at The Priory Hospital, 14-18 New Church Road, Hove, BN3 4FH. These are drop in meetings (entirely free) with no defined membership, so you can simply just come along whenever you feel up to it. Numbers vary from week to week, on average 4 or 5 but has on occasion reached around 12. You can find people from varying ages and backgrounds, family members and friends are welcome. However just recently it has been very quiet so expect possibly 2,3 or 4 of us which can be a good thing in that we each have more time to discuss our own individual situations. Graham the Volunteer Facilitator has his own experience with depression, a certificate in counselling among other therapeutic qualifications relevant to depression and is often available for home visits if desired. It has often been said during our meetings that you wouldn’t talk to your friends the way you talk to yourself, therefore interestingly I (Graham the facilitator) have found the meetings benefit greatly from this very fact. When listening to the stories and problems of others we often find ourselves almost instinctively responding in a kind and considerate way, even though we may even recognize the same or similar situations personally. Therefore it is very difficult to respond to others the same way we have become accustomed to dealing with ourselves. Hence those who attend the meetings always tend to be very thoughtful and upbuilding with each other, and in consequence amazingly, unbeknown to themselves learn from this and tend to take away from the meetings a kinder and more patient attitude towards themselves in the process. Benefiting from the wisdom and the different perspectives of those who are also experiencing or have lived through the same or similar situations is another good reason to come along. The meetings can provide the perfect environment for you to feel supported, receive helpful feedback, re-establish confidence around people of all walks of life, or even meet new friends, hence satisfying our human need for company and significance. For more helpful articles relating to depression, follow this LINK. Hope this covers everything and hope to see you there sometime. Let me know if more information is required. Just wanted to give a little feedback on the last meeting on Wednesday 12th February 2014. I was apprehensive beforehand as I`d not attended before and didn`t know what to expect. However, I found the group safe, supportive and non-judgemental and felt comfortable interacting and participating in the group discussions. The main themes of discussion seemed to be based around early childhood and feelings of rejection, bullying in later childhood years and use of alcohol as a coping mechanism. The discussions around both early childhood and bullying really resonated because a lot of the experiences and issues that were shared were things that I can really relate to and I can identify how those early experiences have affected myself in later life. I participated less in the discussions around alcohol because I have never really drunk to a great extent and certainly never used it as a coping mechanism. I`ve always found that it has a severely detrimental effect on my mood so I avoid it if I can. Overall though I really enjoyed the group. It felt reassuring to know that I was not the only one with the issues that I have. I will certainly be coming along to the meet-up next week. Is this group still running? The last comment was in 2014 and the email address bounces. Thanks for any info!